Transformers G1 Devastator! I don’t really like to throw around words like “mint”, but this combiner is pretty dang close to mint. It’s only missing one of the small, individual Constructicon guns; everything else is there. The decals are great, the plastic is all very nice, and everything is extremely tight. You can hear it creak when things move. 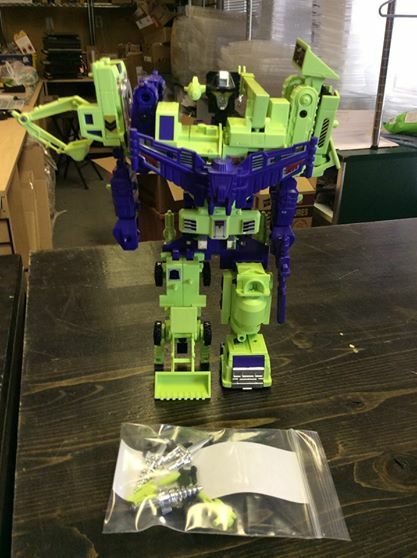 This is easily the nicest Devastator I’ve ever seen. I’m asking $175 for this beautiful combiner.